CONCORD, Calif. (KGO) -- A horse that was struck by a hit-and-run driver in Contra Costa County Thursday was severely injured. 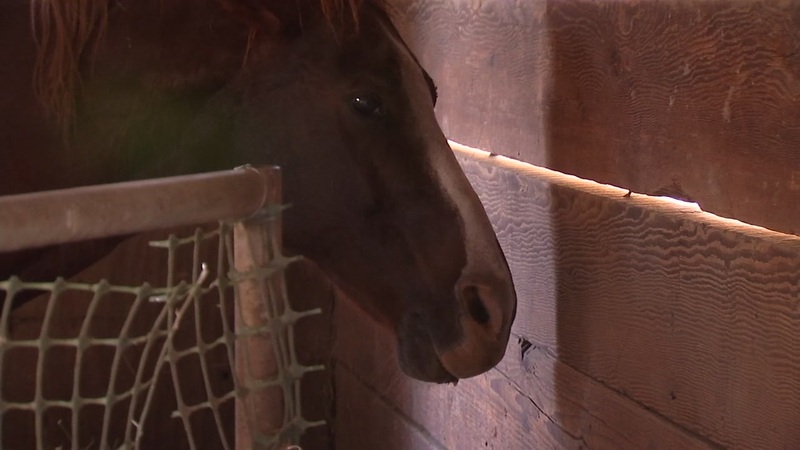 Vets said 18-year-old Chance suffered a full broken jaw when the horse trailer he was in was rear-ended on Kirker Pass Road. Witnesses said the driver who hit the trailer left the scene in another car. Chance's owners said the fracture is extensive and that their horse is in pain. He needs care from vets at UC Davis, but the owners need to raise thousands for that to happen. Click here to make a donation to help the family pay for Chance's medical bills.